Your website is supposed to be a source of steady sales and revenue for your company, but this will only be possible if your website is properly optimized and you have a method to track your leads. So ask yourself, “Who’s following up on my website leads and what are we doing to track them?”. Many small businesses are missing out on valuable prospects interacting with their website due to broken or inefficient lead tracking and management systems. Do you want to know how to generate more leads from your website? You might actually have a large number of qualified leads already coming to your site, but are failing to act on them. You need a better, more strategic approach to create a website designed for lead generation and capture. With that in mind, here are four best ways to optimize your small business website for lead generation and the number #1 best way to track those lead conversions. 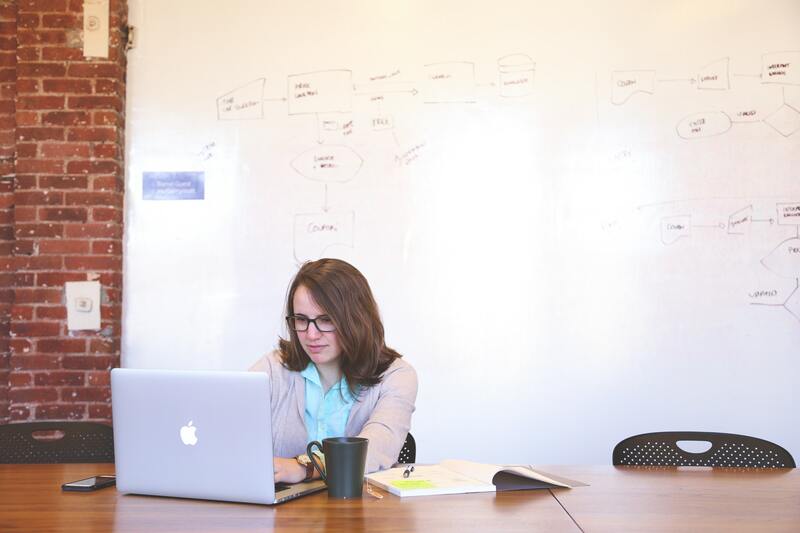 Small business websites are full of potential when it comes to lead generation! When your website is optimized to generate more qualified leads, you’ll end up generating more sales too! Unfortunately, many small businesses don’t take full advantage of this and end up losing valuable opportunities to connect and grow relationships with prospects and leads. Most likely you already have traffic coming to your site, now it’s time to turn that traffic into an active, lead generation source! What are your most popular website pages? Do you have other popular sources bringing traffic to your website (like social media or email marketing)? Do a quick check in Google Analytics to determine what your most popular landing pages are and where that traffic is coming from. To do this, log into your Google Analytics account. From there select Behavior -> Site Content -> Landing Pages. You’ll be able to see your most popular website landing pages, along with valuable metric data associated with it. To view the most popular sources of traffic to your website, select Acquisition -> All Traffic -> Channels. Analytics will break down the various sources bringing traffic to your small business website, accompanied by in depth metrics. You can also click on those traffic sources to gain more insight into how leads are coming to your website. Armed with this information, you can use it to generate even more leads from your website! Once you know what your most popular landing pages are and where your traffic is originating from, you need to create forms for those pages. Those landing pages are your most popular pages for a reason. What are the visitors trying to accomplish by visiting those pages? 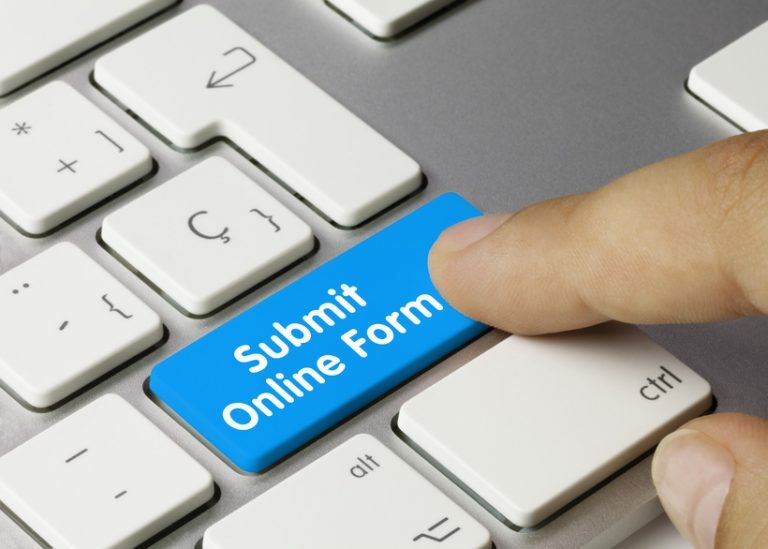 You can create contact forms, information request forms, email sign up forms, quote request forms and so on. Including appropriate forms on your landing pages will help move your visitor through the buyer’s journey more efficiently, saving you (and your lead) time and money. Don’t miss an opportunity because a potential buyer couldn’t find an easy way to contact you! Never forget the power of suggestion and convenience! You need to include CTA buttons on your most popular web pages and your landing pages. Just like I mentioned above, those visitors are coming to a specific page for a reason. What is that reason? If you want to generate more leads from your website, you need to clearly state the benefits to your site visitors. If they’re visiting a specific product page, think about including a CTA urging them to sign up for your newsletter so they can get 10% off their purchase. If they’re visiting your services page, include a CTA offering a free consultation with a link to your calendar to schedule a meeting. Everyone likes free resources, especially if the information is valuable! Figure out what your best performing blog posts are. If your blog section is popular on your website, look back at step one of this article to figure out your most popular pages in Analytics. If you are actively engaged in social media, take a look at the analytics data within those social media platforms to determine how you’re performing. How you can up that blog post’s content value? What extra information can you provide your audience? Maybe you can give more clarity by outlining a tutorial or easy to follow steps? Could you create a resource they could download and print out to manage what you talked about in your blog article post? Blog posts are great opportunities were your small business can go above and beyond to offer your website visitors and leads superior service. By offering a downloadable resource on a blog page like a PDF, you’re encouraging your leads to stay on your page longer and check out what you have to offer! However, many businesses are hesitant to include PDFs on their web pages because they’re afraid they aren’t SEO friendly. Luckily, this just isn’t true! 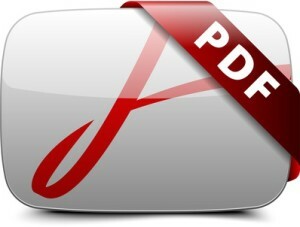 PDFs are great resources to include on your web pages that your visitors will love! Check out this article to learn how to optimize your PDFs for SEO! Providing free, downloadable resources also shows your small business’ dedication to your target audience’s success, not just making a sale off them. Before that visitor even does business with your company, they’re receiving practical benefits from you! And every time they use that free resource they downloaded, they’ll be reminded of your small business! Once you have someone who has shown interest in your business products or services, you need to capitalize on that! Don’t let that lead sit idle for too long. A lead won’t convert into a sale on their own. You need to interact with them and start to build a relationship with them. Personalize your connection with them. What are their specific needs? What are their specific goals? When a visitor completes a CTA on your website, downloads a PDF, or fills out a form, you need to be ready to nurture that lead to the next step. Start by sending a follow up email to that lead that corresponds to where they are in the buyer’s journey. A lead requesting a personal pricing quote will be at a different stage of the buyer’s journey than a lead who signed up for your newsletter. Your content needs to meet your website lead where they are at that point in time. Keep your follow up emails short and relevant. If you’re going to send an email, make it useful to the recipient. Include related content or data similar to what they downloaded or requested on your website. Lay out the next steps for them, what they can expect, and when they can expect it. Most small businesses have lead generating sections on their websites, but do little to optimize them to capture them. Typically, a flaw within that business’ internal process has caused website leads to sit idly by. I’ve heard everything from lead notification emails sitting in spam folders to receptionists not passing phone call leads on to the appropriate department as reasons for missing out. Does this sound familiar? If it does or you’re trying to avoid this from ever happening in the first place, you’re in luck! In Google Analytics, you’re able to track the number of goal conversions you have for your website, so you’ll never miss out on a lead opportunity again! If you are working with an Internet Marketing Consultant (IMC) at Cazbah, we work with our personal clients to set up, track, and manage your Analytics data for you so you don’t have to go it alone. 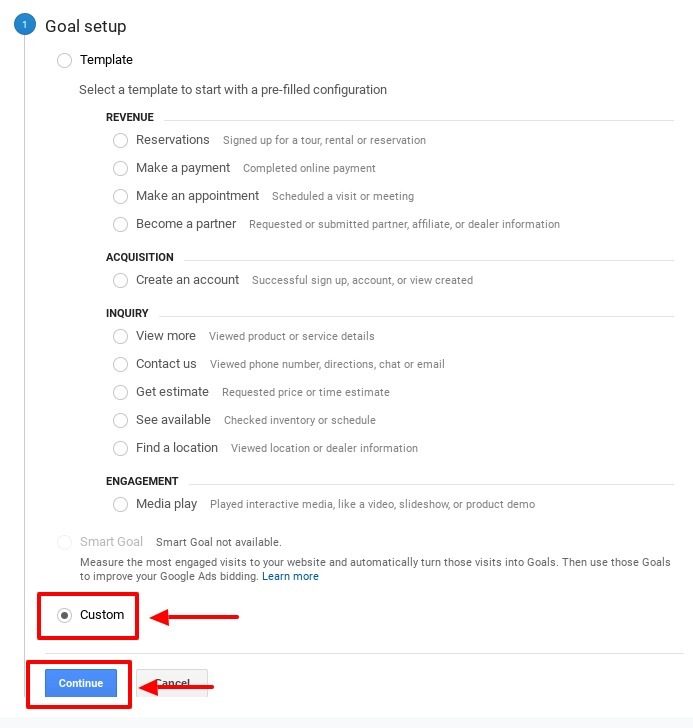 If you’re interested in setting it up Google Analytics goals tracking to help manage your website lead generation yourself, just follow these steps! Step 1: In Google Analytics, scroll down to the Admin section. You’ll be brought to a new page with three main categories: Account, Property, and View. Once your new goal is created, Analytics will start to record and track your website goal completions and conversions. Once you set up your goals tracking, you’ll be able to generate more leads because you’ll no longer miss out on any opportunities coming to your site. To view your Google Analytics conversions, log into Analytics and select Conversions on the left hand side navigation. From there, click Goals -> Overview. Make sure you’re regularly checking and tracking your goal completions in Analytics for your website. Monitoring your goals in Analytics will help you better manage all the leads your small business website produces and will help you properly project your growth expectations moving forward. As a small business owner, you quickly learn that no one cares more about your small business than you. Every penny counts and every lead matters. If you think your small business website isn’t producing the amount of leads it should, take a look at the tips above to learn how to generate more leads from your website today! 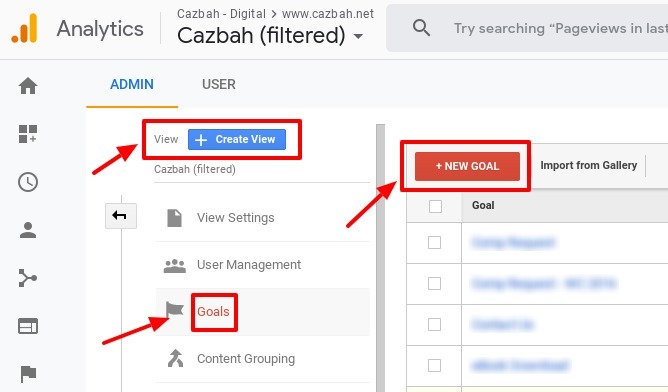 Once you’ve done that, follow the steps above to implement goal and conversion tracking in Google Analytics to make sure you never miss out on a lead opportunity again!